Did anyone see the Alice Through the Looking Glass movie? I hadn't seen the first movie, so I didn't care much about the second...until I saw the colors OPI released. Stuh-ning! I have a few favorites, how about y'all? I hadn't done any stamping in a while, and as my first post back in a while, I wanted to do something simple to ease back into blogging on a regular basis. So I used some Bundle Monster plates, then outlined them with black to pinpoint some of the key moments in classic Alice in Wonderland world. 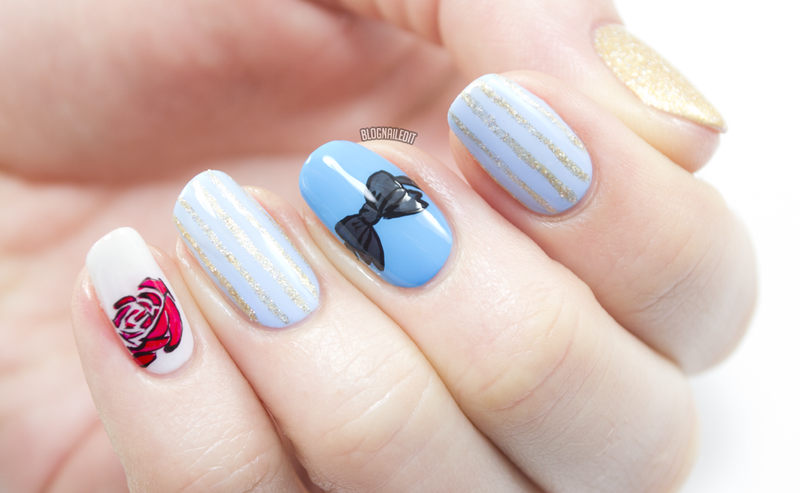 There's a few colors from the collection for this nail art, which you can check out below. A Mirror Escape (3 coats) is a gritty gold chrome with white matte glitter. The glitter makes this an odd textured polish, so it's not shiny, and feels a little bumpy. Fearlessly Alice (2 coats) is one of my favorites. It's a super bright cyan/teal blue creme with excellent coverage. Having a Big Head Day (2 coats) has quickly become a popular color around the salon I work in. 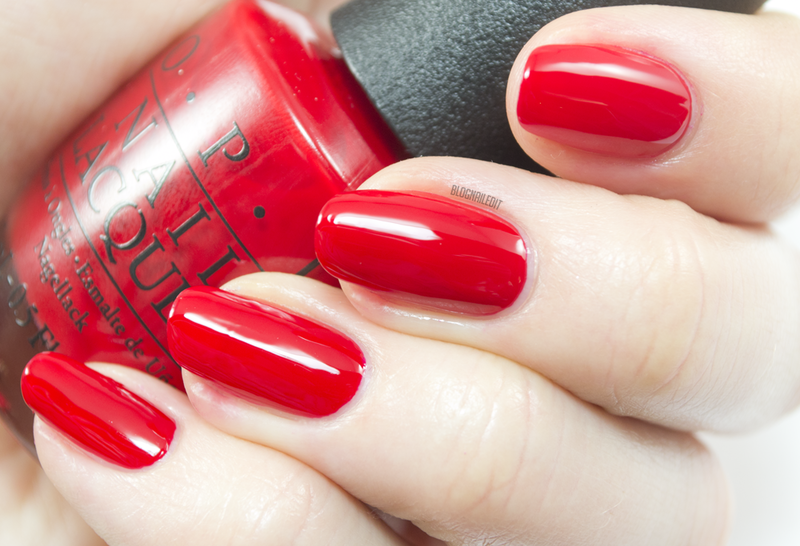 It's this year's bright cherry red from OPI. Hard to beat. OPI - I'm Gown for Anything! I'm Gown for Anything! (2 coats) is a pretty little light lavender-lilac. Some people will have a problem with this formula (think Mod About You) because it's a bit chalky. I do really like the color though. 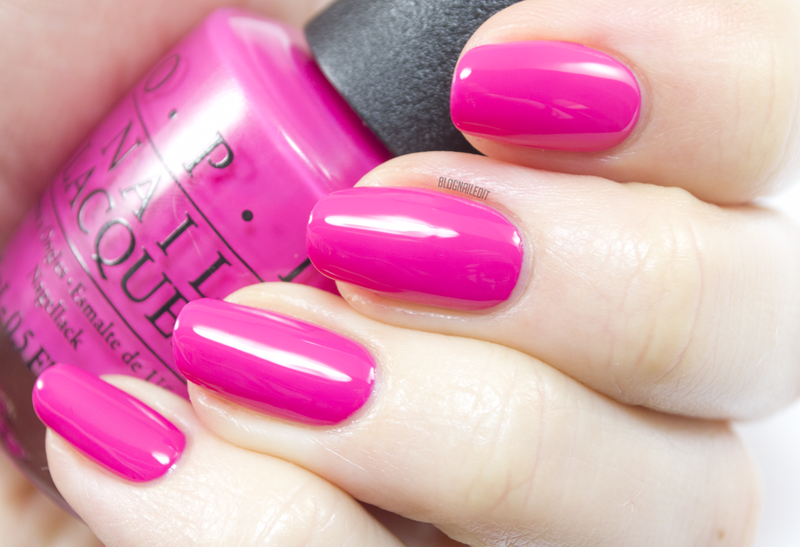 Mad for Madness Sake (2 coats) is a super bold and bright magenta pink creme. Almost neon? Almost? OPI - Oh My Majesty! Ok, so Oh My Majesty! (2 coats) is definitely a favorite, next to Fearlessly Alice. Oh My Majesty! is a pearly gold white. There's just a hint of a gold shimmer over the pearly why, and you can't really tell unless you're in the sun. The subtlety is beautiful! The I's Have It (2 coats) is what the sky is made of - a light baby blue with a teensy weensy bit of purple in it. Maybe? OPI - What Time Isn't It? What Time Isn't It? (2 coats) is a dark grey creme with silver bar glitter embedded. Glitter can be tough to apply, as we all know, but this one's fine. OPI - What's the Hatter with You? One of my favorite clients loves this dark mulberry creme, What's the Hatter with You? She even went so far as to buy her own bottle. Not the most summery color, but it would go well with OPI's newest collection, the Washington D.C. line (coming soon)! This is such a gorgeous collection! I love all the different colours but The I's Have It must be my fave, that is a stunning colour!